Birthday green sparkle foil balloon that measures approximately 18 inches. 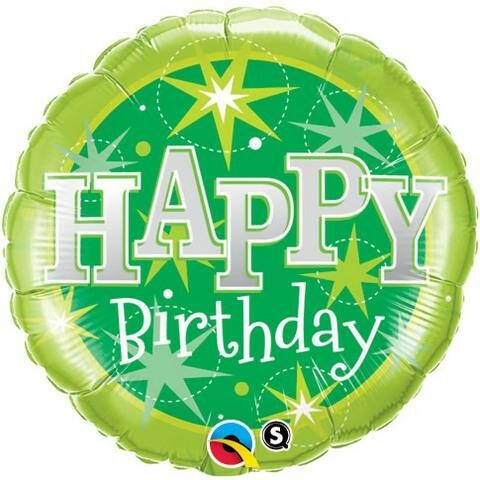 Round shaped balloon with a green background; the message 'Happy Birthday' in white and silver and a sparkle design. Can be air filled and suspended or helium filled.